Our goal is to help our clients not only achieve sobriety but to lead healthy, happy lives. With this in mind, Aldie Counseling Center offers a variety of outpatient therapy options tailored to our clients’ unique needs. 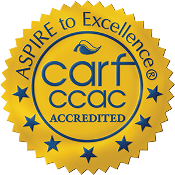 We use the results of your level of care assessment to determine the best course of treatment for you. If your assessment indicates that one of our programs would work for you, we schedule a counseling session with a primary therapist who will work with you throughout your time with us. Our therapists provide a comfortable, safe, and confidential space where you will be both supported and challenged. With your primary therapist, you’ll develop a treatment plan, based on your strengths and needs, to identify the goals and objectives you want to achieve with professional guidance and support. Our treatment team will work with you to customize a treatment schedule of individual and group therapy designed to best meet your needs. The results of your Level of Care Assessment may indicate that our Intensive Outpatient Program (IOP) would be the best fit for you. Aldie offers IOP tracks that run both during the day and in the evening to more easily accommodate your busy life. 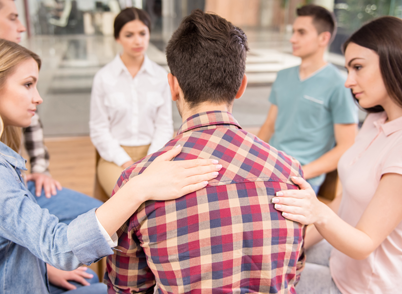 Our IOP program consists of group therapy three times per week, in addition to individual sessions with your primary therapist. Most clients stay in IOP for approximately twelve weeks before stepping down to our Outpatient Program. The groups are focused on building a solid foundation for recovery and include addiction education, as well as early recovery and relapse prevention skills. Substance abuse and dependency have a profound effect on the whole family, and we believe it’s important to address the well-being of the family, in addition to that of the individual seeking treatment. Loved ones have been affected by the individual’s alcohol or drug use and it is strongly recommended that they participate in the healing process. Family participation is offered and encouraged in all levels of care to address topics such as trust, communication, healthy boundaries, and how loved ones can best support the individual along his or her recovery journey.